NewVoiceMedia, a leading global provider of cloud contact center and inside sales solutions, announced that the NVM Platform has won a 2018 Product of the Year Award, presented by Cloud Computing Magazine and global, integrated media company TMC. The award honors vendors with the most innovative, useful and beneficial cloud products and services. NVM’s global cloud telephony platform is an intelligent, multi-tenant contact center and inside sales solution that joins up all communications channels and plugs straight into an organization’s CRM software for full access to hard-won data. With a true cloud environment and proven 99.999% platform availability, NVM ensures complete flexibility, scalability and reliability. “Congratulations to NewVoiceMedia for being honored with a Cloud Computing Product of the Year Award,” said Rich Tehrani, CEO of TMC. “The NVM Platform is truly an innovative product and amongst the best solutions available within the past 12 months that facilitate business-transforming cloud computing and communications. I look forward to continued excellence from NewVoiceMedia in 2018 and beyond”. 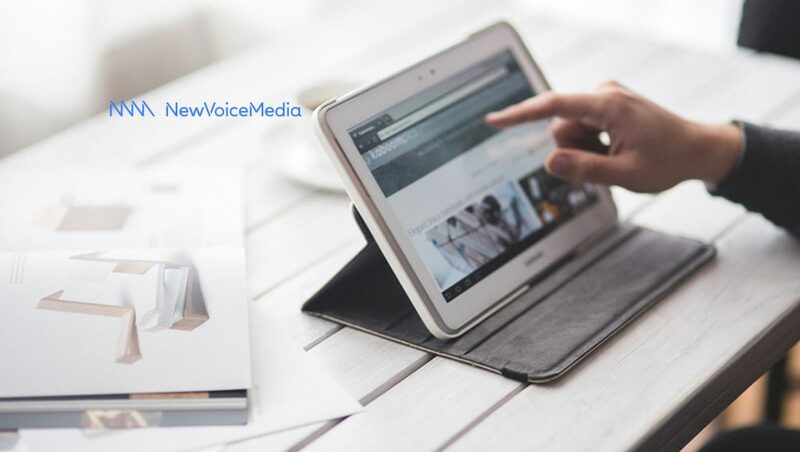 NewVoiceMedia is a leading global provider of cloud contact center and inside sales technology that enables businesses to create exceptional, emotive customer experiences to serve better and sell more. Its award-winning NVM platform joins up all communications channels without expensive, disruptive hardware changes and plugs straight into your CRM for full access to hard-won data.